Fill Hose Blanking Plug, Gas It - GAS IT Leisure Gas Bottles, Gas Cylincers and Gas Tanks - Catering, Motorhome, Campervan, Caravan, Farrier and Road Repair Refillable Gas Solutions. GAS IT Fill Hose blanking plug that fits any GAS IT, Gaslow, Alugas and more Fill hoses. Its a great part to used to seal off the gas fill hose when the gas bottles or tanks are removed so you don't keep getting horrible gas smells in the Motorhome or Caravan and the plus point is that it also stops any dirt getting in the fill hose which will cause problems when its all re assembled. 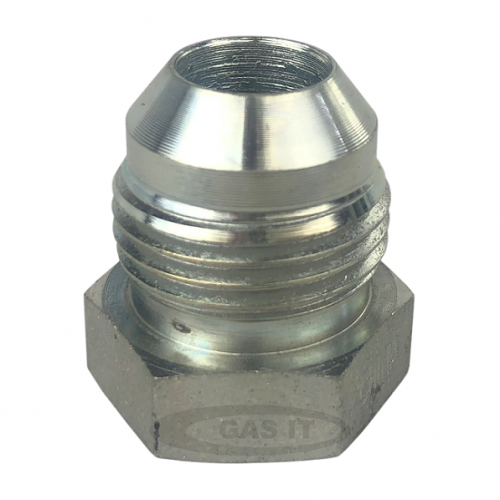 We also sell a GAS IT Blanking Cap for the Gas bottle or Gas tank elbow on our webshop that is great to stop gas leaking out of any refillable gas bottle with an LPG fill elbow.